You need to first lift your entire head to a consistent level 9/10 for best results. So be sure to check your hair and assess how many levels you need to lift. If you are a natural blonde, or have already pre-lightened hair, you can skip the lifting step. Shampoo using a good quality shampoo. Get 3 bowls & 3 brushes. Apply the 3 bottles of Rainbow Color separately. By alternating sections you can get creative and create the look that you want. In this look, we framed the face with Samarkand Blue around the face. We used Electric Blue and Emerald Green on the back and lengths. 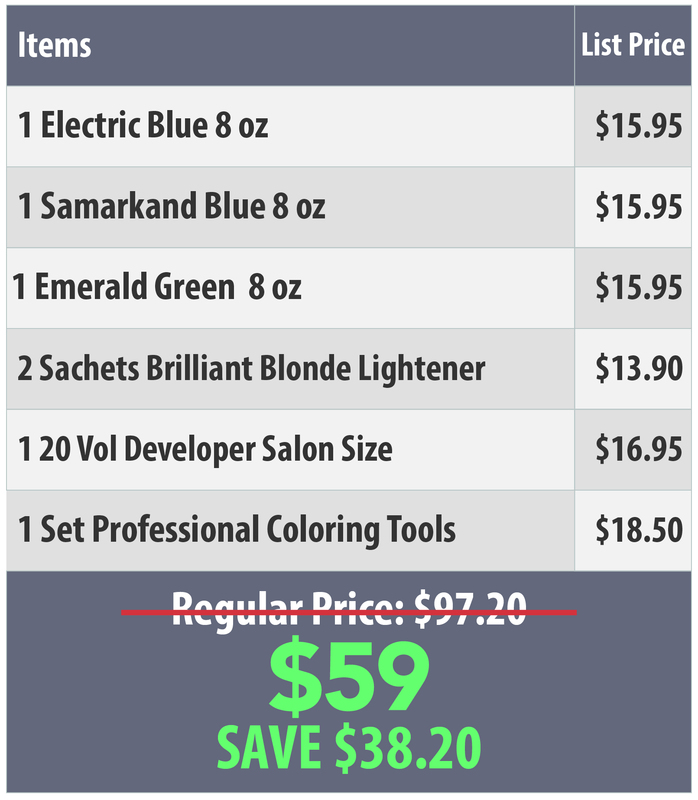 Be generous with the product - that way, you will get a rich vibrant color result. Leave in hair 30 minutes. Rinse first with tepid water. When doing so, don't rub the hair, otherwise color will run from one section to the other. When the product has run out, you can rub and wash completely. 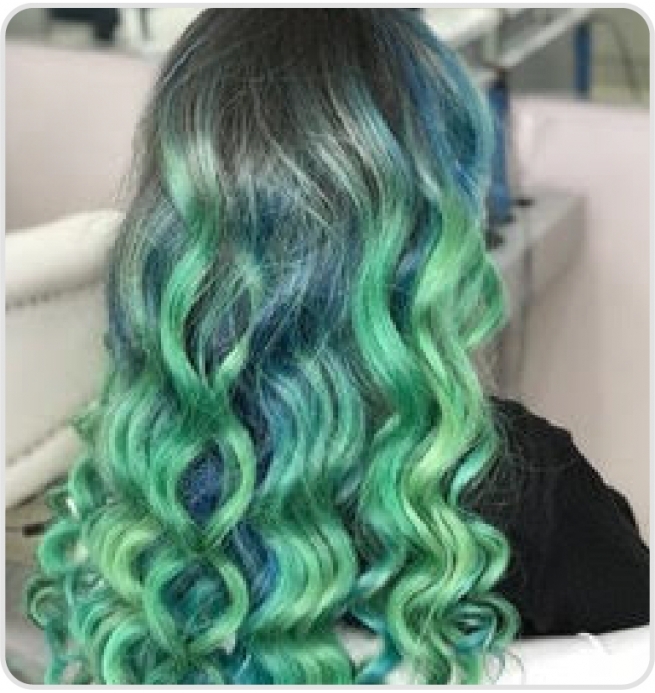 No shampoo immediately after the color. 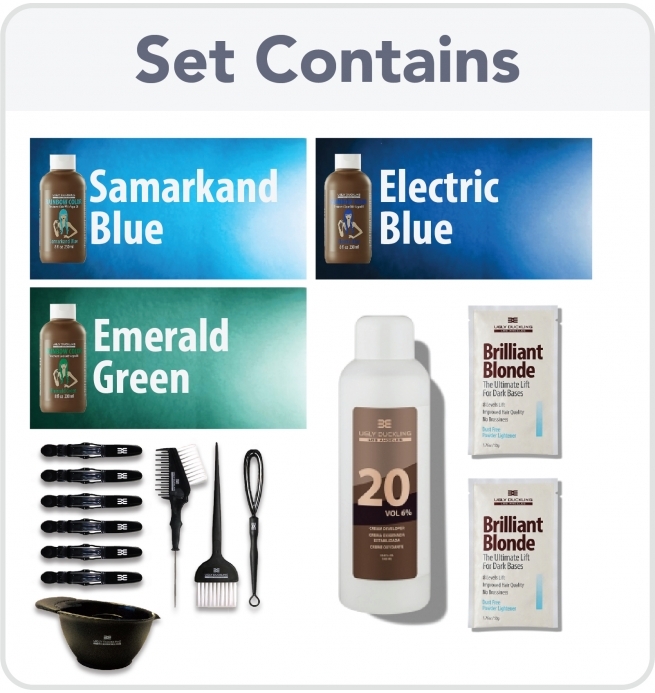 Your color will last up to 20 washes depending on hair texture and quality. 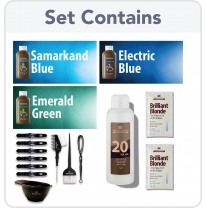 You can use remaining product from the 8 oz bottles to refresh your color after a couple of weeks if desired. Be a Rainbow Girl Today! You should have some product left over for future refresh applications. You need to first lift your entire head to a consistent level 9/10 for best results. When doing so, don't rub the hair, otherwise color will run from one section to the other. When the product has run out, you can rub and wash completely.